Heat ghee in a heavy pan under low heat. 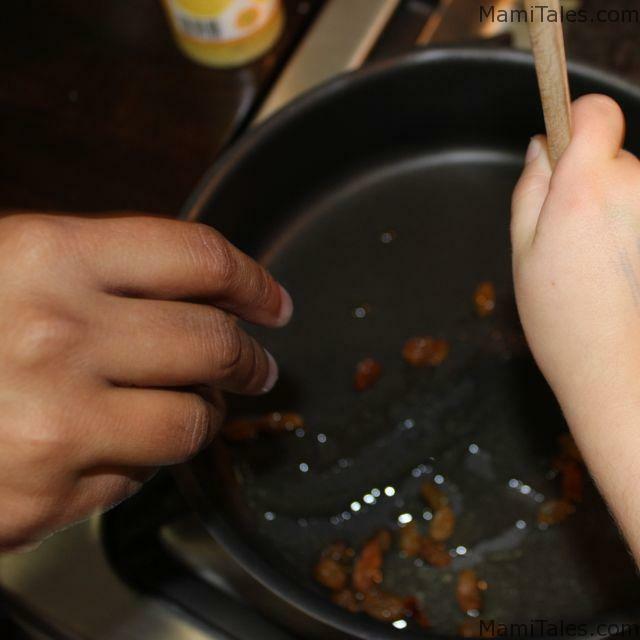 Add the raisins and move them around for about a minute to moisten them. Transfer to a plate, draining the ghee first. 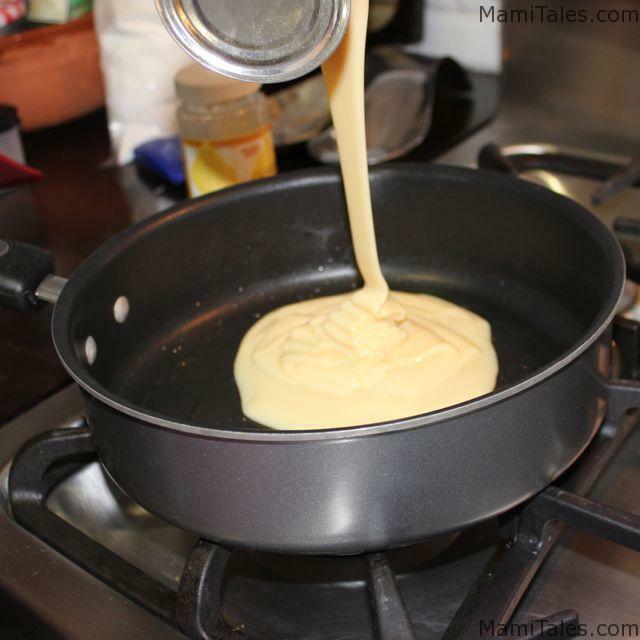 Next, pour the sweetened condensed milk on the pan. 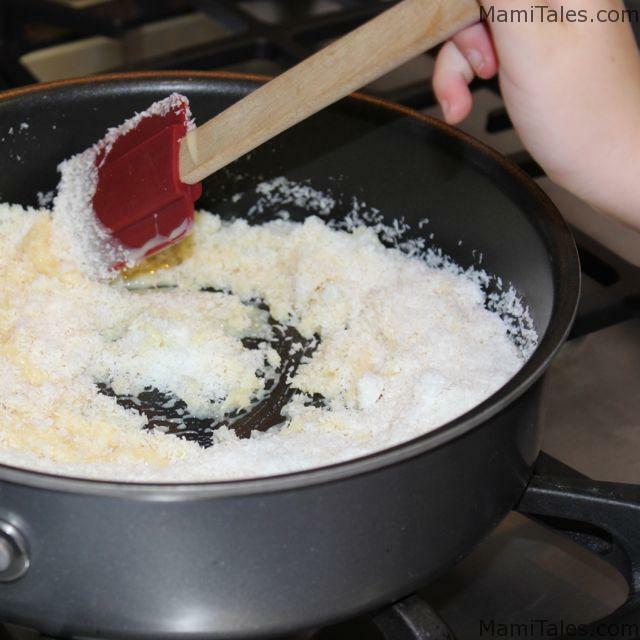 Add the shredded coconut and mix well, moistening all the ingredients. Add the tsp of cardamom too. Cook all the ingredients mixing well, until all the coconut is integrated to the condensed milk. 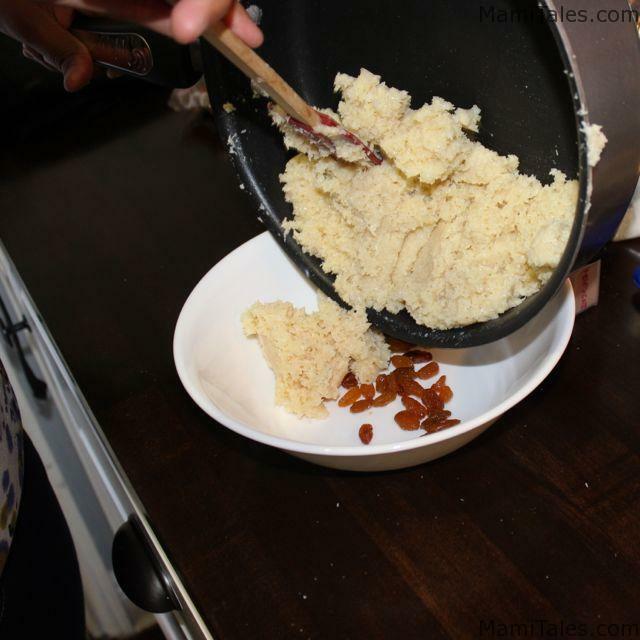 Pour the coconut mix over the raisins and mix well. Let it cool off for about 10 minutes. At this point our hostess used the time to read the story of Ganesh to the girls. 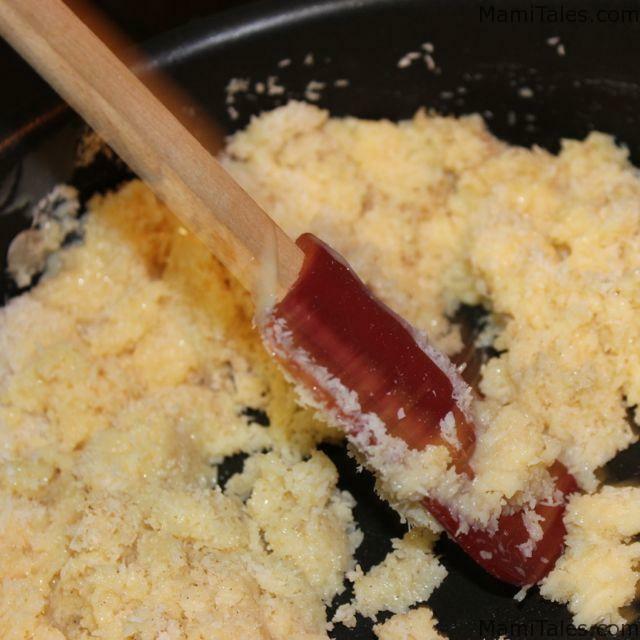 Once the mixture is cool, pour some ghee to oil your hands well. 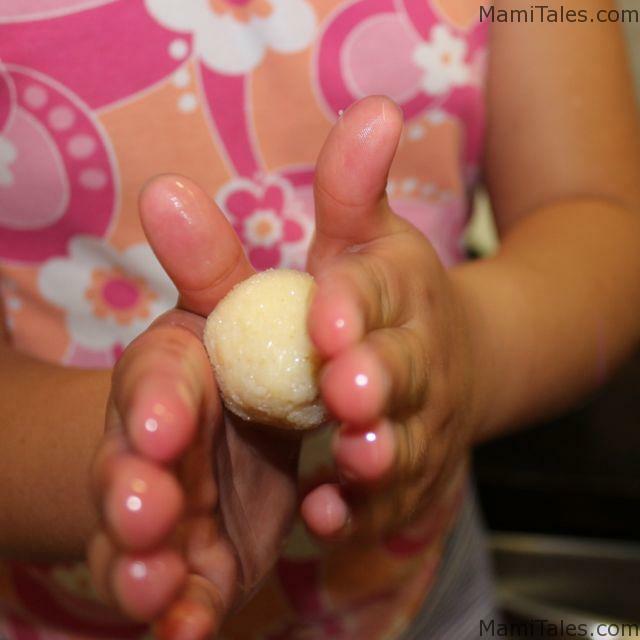 Take a handful of mix and form into a ball with your hands. Try to make sure each Ladoo has at least one raisin if you can! 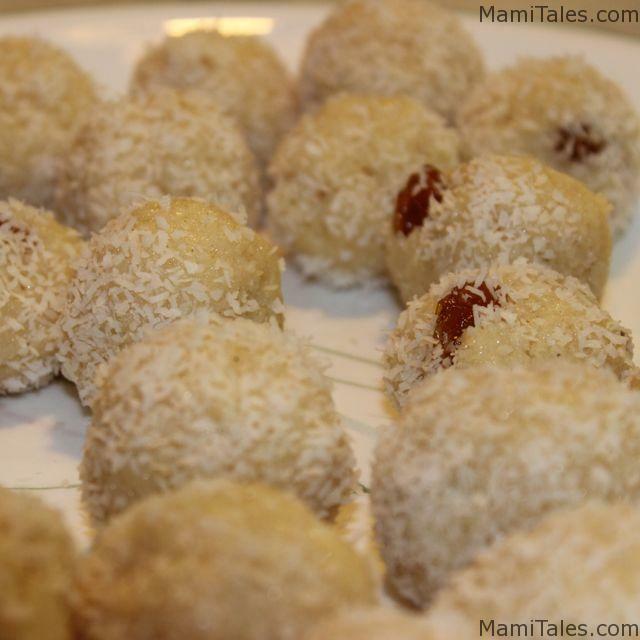 Roll the Ladoo on more shredded coconut. 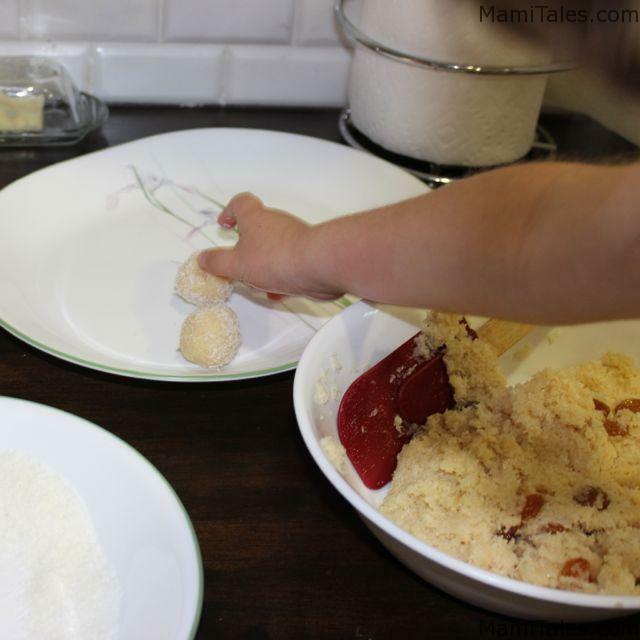 Shape the rest of the mix into balls to have a whole plate full of delicious Ladoo! 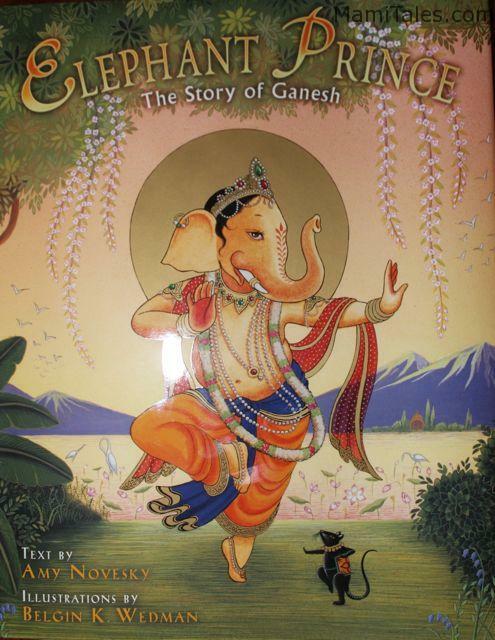 The story of Ganesh is a little bloody, as it involves a kid who loses his head and needs to have an elephant’s one instead. I also have a book on this myth and is way bloodier than this particular version, where the boy’s head turns into ash instead of being beheaded. 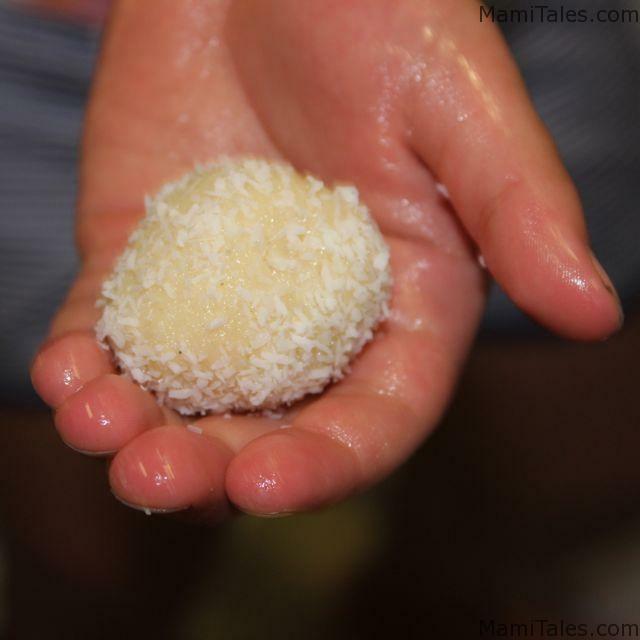 I, for one, feel that myths and fairy tales should not be sugarcoated for children, but that’s just me… Hope you enjoy the Ladoo and the story too! These look delicious! We studied India for a year and Ganesh was one of the kids favorite Hindu deities – wish we’d made these treats 🙂 Thanks for sharing! My pleasure! If you make them, let me know how they turn out! These look so yummy!!!!! I want to try them. I love exposing the kids to many cultures.